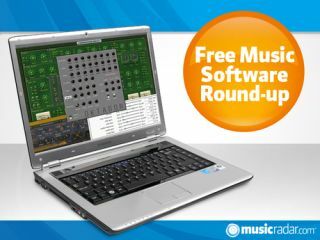 We reach a half year's worth of round-ups by bringing you four distinctly different plug-ins, with each representing a different section of the diverse freeware market. Vintage hardware emulations are covered by Oktagon, while those in search of a more contemporary synth can try the charmingly titled NeoKiller III. Bitsmacker, meanwhile, is a new plug-in distortion, and there's a guitar amp sim in the shape of GreenMachine Amp II. Yep, it's another virtual analogue synth: this one comes with eight VCOs, each of which has its own detune, pan and gain controls. It features saw, ramp, tri and pulse waveforms and can run in both monophonic and polyphonic modes. Interestingly, Novakill's flagship Ultrakiller synth is only available to those who buy their new album (entitled I Hate God). However, the trimmed-back Neokiller III is being offered as a free download, with the developer citing its "super-fat Quad Oscillator" as a key benefit. Described as a "digital distortion Swiss army knife" that's capable of delivering a "raunchy" sound, Bitsmacker promises to emulate the tones associated with vintage samplers, video game systems and other lo-fi gear. The interface isn't anything special, but if it delivers the goods in a sonic sense, that might not matter. The appropriately named GreenMachine Amp II is a guitar amp simulator that previously cost $89, but Wurr Audio Engineering has now taken the generous step of 'setting it free'. It features American- and British-style preamp models and Tube 50, Tube 100 and SolidState amps.